Full-text core scholarly journals beginning with v. 1 of each title, in the fields of the arts & humanities, social science and the life sciences. Principally a social sciences and humanities database, but there are also hundreds of thousands of article holdings from a wide variety of journals dedicated to art, business, law, mathematics & statistics, the biological sciences, and other disciplines. MathSciNet offers Mathematical Reviews (MR), a publication dedicated since 1940 to providing reviews from mathematics experts and professional mathematicians on current published mathematics literature. At least 80,000 new items are added each year to this database, and MathSciNet contains over 2 million items and over 700,000 direct links to original articles. The database also provides bibliographic information from retrodigitized articles that date back to 1864. The search function allows users to search for specific authors, titles, keywords, and more. Searches can be limited by publication type (books, journals, proceedings) and time frame. The Physical Review Online Archive (PROLA) is the American Physical Society's online archive for Physical Review Letters, Reviews of Modern Physics, and Physical Review A–E. It contains all APS journal articles published from 1893–2009. For current access, use APS Journals. A multidisciplinary collection including citation indices to the journal literature of the arts and humanities, the social sciences and the sciences. The database indexes over 6,600 major journals across 150 scientific disciplines and over 1,900 journals across 50 social sciences disciplines. In addition, it includes all cited references captured from indexed articles. Web of Knowledge also provides access to MEDLINE. The Periodicals@Foley link will allow you to search for specific journals. 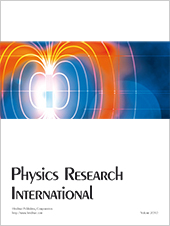 If you want to see a list of journals in physics and related subjects check out specific subject links.